You are currently browsing the Suburban Homesteading – Frugal Living blog archives for December, 2011. Ready or not, the holiday gift giving season is well on its way. 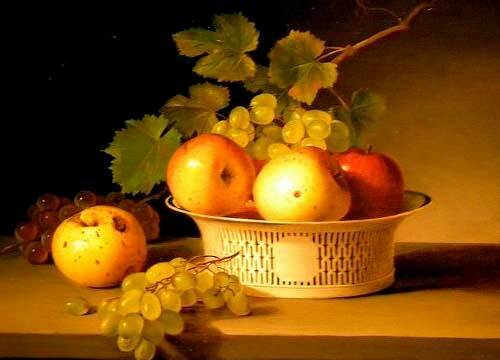 But, instead of fighting the stores, dealing with overworked or angry salespeople why not give gifts from local farmers or crafts people? Farmers Markets and Farm Stands provide the gift giver with a wide array of fruits, meats, honey, flowers and farm items that can be made into attractive gift baskets. Local craft fairs showcase hand-made items from area artists and crafts people. And, with LocalHarvest outlets and CSA’s you can give fresh made cheese and baked goods, homemade soaps and canned goods, or wool, yarn and spinning supplies. Check out the more than 10,000 farm products in the LocalHarvest store. Better yet, give the gift that keeps on giving…give a chicken. Uncle Sam Wants YOU to Raise Chickens! Or at least he did during WWI. That’s right folks; the government encouraged every American to keep chickens for eggs and meat. 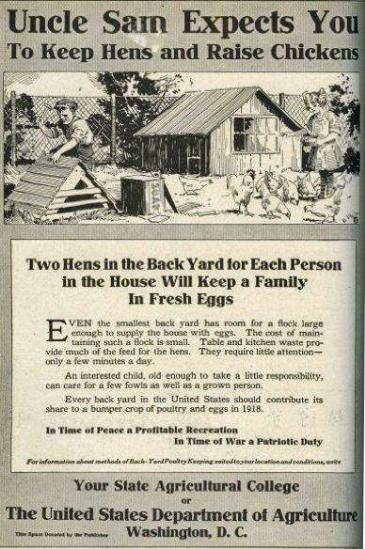 Backyard chicken raising was touted as a patriotic duty as well as a business venture that would help bring back high quality small flocks. In the early part of the last century poultry magazines were as popular as today’s tabloid trash. Our population was closer to its agricultural roots than they are today and poultry magazines offered readers an array of photos, stories, how-to and ads geared for the large poultry raising audience. 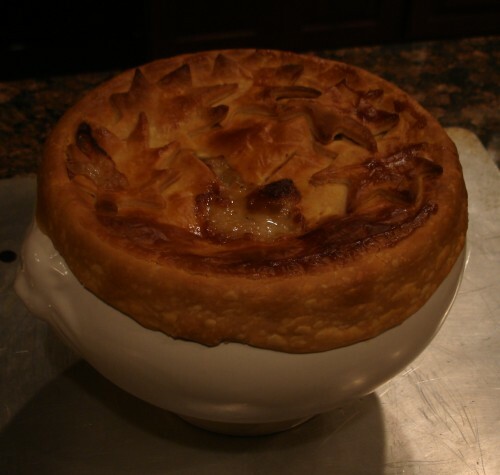 I have always been a huge fan of Chicken Pot Pies. As a child it was the only thing I would order when my family went out to dinner at Marie Callender’s. There’s nothing better on a cold weekend than the aroma of chicken, vegetables and herbs simmering in savory gravy. When I traveled to Vermont a few years ago I enjoyed several versions of this down home comfort food along with copious amounts of apple cider and Vermont cheddar cheese. But, those are stories yet untold. Unable to decide on which version I liked the best I fiddled around with recipes, incorporating parts of each into a recipe that is now a favorite at our home. The main difference in my version versus those I’ve had in the past is the consistency. I love hearty winter dishes that are chock full of root vegetables in a thick sauce or gravy. And, this one has it all…veggies, herbs, and gravy, topped with a flakey pie crust. The only challenge is… I haven’t figured out how to assemble the pie so there is enough crust to top every bite of the filling. And let’s be honest – pot pie is all about the crust to filling ratio. Isn’t it? The recipe is versatile, too. Any combination of roots from turnips to parsnips to potatoes along with the standard carrots, onions, mushrooms, peas and celery will work. It’s also a great way to use up leftover chicken. It’s amazing how much meat you can get from a carcass when it’s simmered down. And, the broth you get is nothing like anything you ever tasted. Each batch will be different because it takes on the flavors of the baked or roasted chicken. Right in the Champlain Valley of New York, a new generation of farmer is helping to redefine agriculture in America. Local farms are at the forefront of a movement taking shape across the nation. Filmed at three upstate New York farms — Essex Farm in Essex, Fledging Crow in Keeseville, and Asgaard Farm in AuSable Forks — the documentary follows these unique farms through an entire growing season. This inspiring film is a co-production of photographer/director Ben Stechschulte and Mountain Lake PBS. 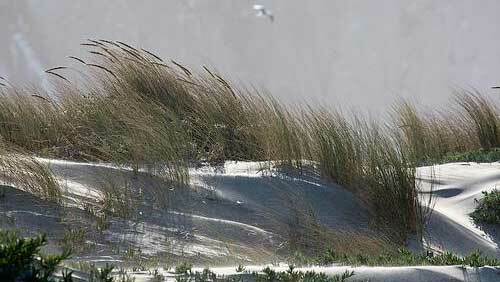 The weatherman is calling for high winds, like 60 – 80 mile an hour gusts, and lower temperatures over the next few days. That can only mean one thing…damage…and lots of it. Anytime we hear news like this we immediately go into batten down mode. We’ve been through enough windstorms to know the damage they can cause and the discomfort we will feel if not properly prepared. Several years ago, on a cold January night, a storm blew through our area with the force that can be described as a gale. Brianne and I were living on the ranch at the time and the fierce winds uprooted over 500 trees, which knocked down power lines, broke the well pump, smashed windows, tore the roof partially off the barn and damaged a corner of our house. One tree even fell, front to rear, over my truck crushing it 6-inches. Needless to say, it was totaled. We were pretty well stocked and prepared though. Living in an earthquake zone is a constant reminder that Mother Nature can strike unexpectedly. But, it was this particular storm with its power outage that lasted for more than a week that convinced me even more that we should never be without stores, water, light and a source of heat.